WASHINGTON – September 29, 2015 — Waverley Labs, a leading provider of digital risk management software and services, today announced that it has been selected by the Department of Homeland Security (DHS) and Technology Doctorate (S&T) to develop an industry-first open source Software Defined Perimeter (SDP) to defend against large and sophisticated Distributed Denial of Service (DDoS) attacks. 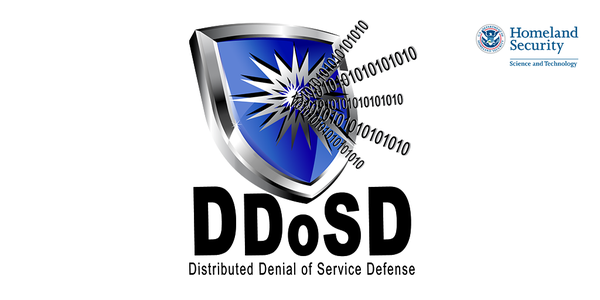 The project titled “An Open Source Project for a Software-Defined Perimeter to Defend Cloud Apps from DDoS” was awarded through Broad Agency Announcement HSHQDC-14-R- B00017 and will become part of the DHS S&T Cyber Security Division’s larger Distributed Denial of Service Defenses (DDoSD) program. Protecting cloud and critical infrastructure applications against remote surveillance and denial of service is one of the most difficult challenges facing the Federal government today. Waverley Labs’ open source approach to SDPs is emerging as a key component in a new security paradigm for protecting application’s infrastructure in enterprises and large government organizations. Commercial SDPs have already been deployed by leading enterprises such as Coca-Cola and they continue to be tested in organized industry “hackathons” with an estimated 10 billion attempts – all unsuccessful. Waverley Labs, the Cloud Security Alliance (CSA), a non-profit organization that promotes security best practices for the cloud, and Vidder, Inc. have been working closely to develop an open source approach to the SDP. “We are excited to support DHS’s efforts to evaluate SDP as a strategy to stop remote surveillance and denial of service of US government assets,” said Junaid Islam Co-Chair of the SDP Workgroup of the Cloud Security Alliance, and President of Vidder, Inc.
Waverley Labs is in discussions with a variety of Federal and commercial organizations about similar SDP initiatives.